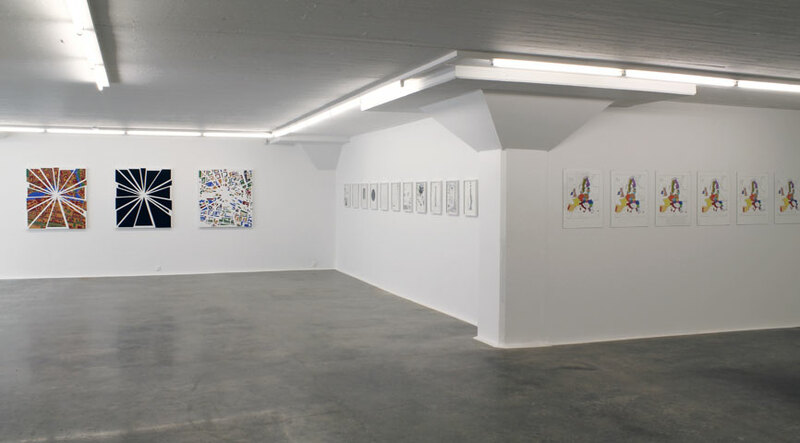 Installation view from the 2010 exhibition: 58°35’22”N, 16°10’57”E at Galleri Dag Andersson, Norrköping, Sweden. Left: "Norrköping Site Paintings 1, 2, 3". Centre: Chimney drawings 1995-2010. Right: "Psycho-Mapping Europe verison 2.0  Edition".